ce on the ISP. It was one of his major concerns to encourage young scientists and to facilitate their integration into the scientific community. Bob never put himself at the center of things. And as everybody experienced his honest interest in people and their ideas, people around him felt secure and indeed were. Bob had the uncanny ability to create an atmosphere for open and unprejudiced exchange of ideas. Whatever the occasion, he always found the right words, the right wine, and the right humor along with his inimitable welcoming smile. We experienced much of this atmosphere at the Fechner Days. I also believe it was largely due to his efforts that the Fechner Days did not degenerate into vanity but remained one of the very few academic meetings which facilitated a personal exchange of thoughts from an equal stance in an accepting atmosphere. We will miss his constant attentiveness and support, his refreshing contributions and scientific impulses. Ragnar Steingrimsson, associate project scientist in the Institute for Mathematical Behavioral Sciences at University of California at Irvine, passed away in his sleep on May 22. He was 50. Steingrimsson received his Ph.D. in cognitive sciences from UCI in 2002 and went on to complete postdoctoral work on the Irvine campus and at New York University before starting work full time at UCI’s Institute for Mathematical Behavioral Sciences as an assistant project scientist. Alongside renowned cognitive scientists Duncan Luce and Louis Narens, Steingrimsson pursued research on subjective evaluation of sensory intensities – how people understand loudness, brightness, pain and other senses. At the time of his death, he was working to provide scientific evidence for a comprehensive theory of Luce’s that explained and integrated judgments of intensity within and across sensory domains. Among them: Psychological Review, Journal of Mathematical Psychology, Journal of American Psychology, and Attention, Perception & Psychophysics. Steingrimsson also studied under cognitive sciences professors David Laberge and Jean-Claude Falmagne where he focused on attention and psychophysics and knowledge spaces, respectively. Throughout his postdoctoral positions at UCI, his research was continuously funded by the National Science Foundation and Air Force Office of Scientific Research. Steingrimsson was an avid runner and a native of Iceland. He earned a certificate in French language at the University of Paris, Sorbonne in 1989, and then headed to the University of Copenhagen, Denmark where he earned his bachelor’s in film and communication in 1991 and his bachelor’s in computer science in 1992. He came to Chapman University in Orange, California where he earned an MFA in 1994 and his master’s in English in 1995. He then joined the UCI Department of Cognitive Sciences graduate program, earning his master’s in 1998 and his Ph.D. in 2002. During his 22-year association with UCI, Steingrimsson also worked remotely as a senior research scientist for the Northwest Evaluation Association (2013-16), an adjunct professor of psychology for New York University (2004-05), and a research scientist at Ohio State University (2017). Our very distinguished and long-standing member, Professor William (“Bill”) M. Petrusic has left us. He died on Dec. 12, 2014, at the age of 75. He is survived by his wife Elaine and his three children, Michele, Michael, and Christopher. Bill co-hosted Fechner Day 2012 in Ottawa, Canada, which sadly was his last appearance at the annual ISP conference. Born in Hazeldell, Saskatchewan, on May 18, 1939, Bill received a BA in psychology from the University of British Columbia in 1961, an MA in mathematics from the University of Michigan in 1963, and a PhD in psychology from the University of Michigan in 1968 (where he was supervised by Clyde Coombs). After a stint at the University of British Columbia, he joined the Psychology Department at Carleton University in Ottawa, Canada as a professor in 1970 (eventually becoming a Distinguished Researcher and Professor Emeritus in 2004) where he remained until his untimely passing. Bill’s body of scientific work encompassed (exactly) 50 publications that addressed numerous issues of key importance to psychophysical and psychological researchers. His early published research focussed on the scaling of response time latencies and the study of short-term memory. In the late 70s, Bill published a large number of studies with his student Don Jamieson that dealt with important issues within such areas as duration judgement, preference judgement, and symbolic magnitude judgment (where, hopefully, the major aspect common to all of that work is self-evident). The late 80s and 90s led to a second large body of publications co-authored by another prolific student and eventual close colleague and friend, Joe Baranski. This period yielded seminal work on the semantic congruity effect, memory psychophysics, and the rendering of confidence. Finally, during the last 10 years, Sam Shaki and myself co-authored a number of studies with Bill that served to provide a wealth of novel results pertaining to both the semantic congruity effect and the spatial-numerical association of response codes (or SNARC) effect. Bill has left behind an enduring legacy, both as a scientist and person, which a great number of the students he has mentored over the years would love to be able to emulate. His dedication to basic scientific work and the development of theory in mathematical terms inspired the people he collaborated with and solidified a place for him in the field as a serious and important researcher. I know that I, along with many others, will dearly miss hashing out research designs and theoretical standpoints with Bill (in addition to numerous discussions surrounding the merits of various 60s-era musical performers). Hannes was Born in Vienna, Austria, 1923, and at the age of 15 fled to Sweden to escape the Nazis. Initially Hannes worked as a farm hand but quickly progressed to study at high school and later at Stockholm University, where he became an adept of Gösta Ekman, the Swedish pioneer of quantitative psychology. After spending a year in S. S. Stevens’ lab at Harvard, Hannes was awarded his Ph.D. in Stockholm 1963. In 1994, as the result of a petition from all Swedish psychology professors, the Swedish government awarded Hannes Eisler the rank and honor of Professor – a rare recognition of scientific merit. During his long career, Hannes authored a large number of publications and made many important contributions to our field. His doctoral dissertation was about the relation between magnitude and category scales. Later on, he turned much of his interest toward time perception in people as well as in mice. Perhaps the most impressive of his contributions is the Parallel Clock model for temporal reproduction and comparison1, which arose from Hannes’ arduous and meticulous investigation of long known anomalies in time perception; specifically, breaks in psychophysical functions. Noting the positions of those breaks in reproduction data led him to the counter-intuitive realization that participants use a seemingly odd strategy in immediate reproduction of temporal intervals: subjectively matching the reproduction, not to the standard, but to one-half of the total duration. Using this model it is possible to estimate the psycho-physical function for time from reproduction data, and Hannes published a huge collection of temporal power function exponents2 – much cited but all too often with no understanding of how they were determined. Hannes was intellectually perspicacious and possessed research talent in abundance. Modes-ty, good nature, along with deep and diverse cultural interests, sense of humor, and appreci-ation of the good things in life, were some of his other characteristics. Scientific seminars on various topics were enriched by his insightful comments until a heart attack sadly ended his long life. I miss Hannes immensely, as a very good old friend, a respected senior colleague, and a mentor – even the word guru feels very appropriate. Eisler, H. (1975). Psychological Review, 82, 429-450. Eisler, H. (1976). Psychological Bulletin, 83, 1154-1171. William M. (“Bill”) Petrusic received a BA in psychology from the University of British Columbia in 1961, an MA in mathematics from the University of Michigan in 1963, and a PhD in psychology from the University of Michigan in 1968 (where he was supervised by Clyde Coombs). After a stint at the University of British Columbia, he joined the Psychology Department at Carleton University in Ottawa, Canada as a professor in 1970 (eventually becoming a Distinguished Researcher and Professor Emeritus in 2004) where he remained until his untimely passing. Bill was longstanding member of the International Society for Psychophysics and recently served as its Treasurer from 2006-2012. Throughout his career, Bill had a profound influence on countless students and colleagues. Indeed, Bill was responsible for both introducing his students to real psychological science (i.e., psychophysics) and then encouraging them to become fully engaged in this great field. Undoubtedly, each one of the individuals that he mentored feels eternally grateful that they were able to cross paths with such a fountain of scientific knowledge (in Ottawa, Canada of all places). In dealing with and learning from Bill, one always felt directly connected to the rich history of both quantitative and empirical psychological inquiry (whether that be Thurstonian scaling or Münsterberg’s early study of reaction time). Bill’s body of scientific work encompassed numerous key areas of research including the study of time-order error, symbolic comparison, memory psychophysics, confidence processing, the semantic congruity and spatial numerical association of response codes (SNARC) effects, as well as the psychophysical processes underlying judgement and decision making. Much of his work was dedicated to specifying basic psychological processes in mathematical terms. One enduring legacy of Bill’s will most certainly be that he can be regarded as champion of stochastic evidence-accrual modeling of decision making. Indeed, much of the work he performed over the last 25 years was dedicated to demonstrating that static models of responding in perceptual and cognitive choice tasks were invariably inferior to models which postulated a dynamic accumulation of information over time (such as his rather ingenious slow-and-fast-guessing counter model). On a personal level, all would agree that Bill was an incredibly gracious and generous supervisor and friend whom others would go out of their way to spend time with. Dinners with him were to be looked forward to and remembered afterwards. Adventurous in life as well as science, Bill was always ready to go regardless of what kind of crazy endeavour was being cooked up for that evening. Apart from science, Bill loved music, wine, cooking, and his lovely and always supportive wife Elaine. Bill’s passing has left many of us with something missing in our lives that we will simply not be able to replace. Dr. Bill was a giant of a man both in stature and intellect. My first experience with Bill was as an undergraduate statistics student. His Bob Dylan quotes suggested to me someone with deep convictions and a wry sense of humour – someone that understood the pluralities of life. He showed this through kindness and decency toward each of his students, grappling with ethical questions and always endeavouring to do the right thing rather than what was convenient or conventional. I soon realized that Bill presented an exemplar that I could only hope to emulate imperfectly. Students, including myself, were the beneficiaries of his experience as he gave us the opportunity to try and fail without judgment or condescension, a method that emboldened each of us to be persistent in our pursuits. During my time with Bill as an undergraduate and Master’s student, I learned deeper lessons than research and experimental design. Through him, I came to know the virtues of academia and psychological science, something that is difficult to teach and even harder to learn. Given the probability of meeting someone like Bill, I am lucky for having had the chance to know him. He truly made a significant difference in my life. I have a lot of fond memories of Bill, and it is difficult to put into words the many ways that he has influenced both my personal and professional life. A student’s relationship with Bill did not end in his classrooms or in his lab. If Bill took you under his wing, it meant spending time socializing with him at conferences, in this home, and at the Pub. But with so many professional and social interactions to choose from, I would like to share the story of how I met Dr. Petrusic. I think that I learned just about everything that I needed to know about the man’s character during those first 15 minutes. On September 11th, 2001, I was an undergraduate student, working full time and taking night classes at Carleton University. The news reports started rolling in from New York during my commute to work and, as I’m sure many of you will recall, the ceaseless flow of information grew more intense and more frightening as the day wore on. By the time I started making my way to school for my PSYC 3000 Advanced Statistics class, the ambient anxiety in Ottawa was palpable. Nobody knew who was responsible for the attacks. Nobody knew how the U.S. was going to react. The phrase “World War III” was being nervously passed around the classroom when I arrived. Absolutely everyone was certain that the class would be cancelled. Into this atmosphere walked a Hawaiian-shirt clad, white-bearded, pony-tail sporting… well, if I’m being perfectly honest, “hippie” was the word that sprung to mind. We all quietly watched him settle in at the front of the classroom. The very first words spoken to me by Bill Petrusic were these: “I want you all to know that I am very aware of the day’s tragic events. I seriously considered cancelling class this evening. But, in the end, I decided that it was probably best for all of us if we just work through this together.” At this point he proceeded to administer an algebra test and informed us that we had 15 minutes to complete it before we moved on with the day’s lecture. new. I’ve learned a lot from Bill, but I think the thing that I’ve learned best was the value of learning for learning’s sake. I also know that I went on to do my Honours, Masters, and PhD work with Bill and that I pretty much decided to do so right after that first class. He was happy. He was generous. He was wise. He was a fantastic teacher. I miss him. Douglas Vickers, age 64, died suddenly at his home in Adelaide, Australia, on October 31, 2004. He is survived by his wife Yvonne, children Marc and Anne, and six grandchildren. His impressive career as a theoretical psychologist, experimental scientist, and mentor to famous students spanned forty years. Held in the greatest esteem, his students refer to him as a teacher of unfailing sincerity who was generous and warm in his dealings with others. Vickers’ graduated from Edinburgh University in 1961, and continued to an Honours BA Degree from Cambridge University where he placed first in of the Natural Sciences Tripos (Part 2). In 1967 he received his Ph.D. supervised by Alan Welford. In 1994 Cambridge honored him with its Sc.D. In 2000-2002 Douglas Vickers served as President of the International Society for Psychophysics. Douglas’ scientific career began in earnest with the famous Shallice and Vickers (1964) paper “Theories and experiments on discrimination time” in volume 7 of Ergonomics. This important review of psychophysical models provided an English approach to a topic of deepening interest in Europe and the United States. His Ph.D. thesis “Visual discrimination and the perception of visual depth” (1967) continued his exploration of perceptual phenomena investigated by psychophysical means. Professor Malcom Jeeves, Head of the Psychology Department at Adelaide University, offered him a Position as Lecturer and Doug immigrated to Australia. At the time Alan Welford championed investigations of models of the time taken to perform judgment tasks. In 1970 Vickers added new ideas to the ongoing scientific adventure in the paper “Evidence for an accumulator model of psychophysical discrimination.” The theory can be imagined as a stochastic development of Fechner’s theory of sensory representation and Thurstone’s idea of comparative difference. The simplicity of the theory is its charm: two stimuli, a single distribution of sensory differences (a la Thurstone), two accumulators, and two response outcomes. The beauty of the theory is the vast number of predictions made about response probability and response time. In a way, the two accumulators race to be the first to generate a response. The 1976 meeting of Attention and Performance VII, offered Douglas an opportunity for an important advance in the accumulator theory. The title of the paper, “An adaptive model for simple judgment,” does not prepare one for the major extensions suggested and empirically evaluated. The two accumulator model is described and then a three category model is described to account for judgments of sameness and difference. The manner in which parameters of the theory adapt to experimental conditions is discussed. Then, in a stunning contribution to psychophysical theory, Vickers provided further theoretical investigations and elaborations that accounted for the third important measurement variable, response confidence. In his book “Decision Processes in Visual Perception” (1979) Vickers provided a broad survey and theoretical investigation of simple decision processes, confidence and adaptation, and complex decision processes. This monograph followed up Vickers’ previous paper (“Where Angell feared to tread: response time and frequency in three- category discrimination”, 1975) by proposing a theory of equal judgments that yielded a convincing account of much experimental data. With references to 538 important experimental and theoretical papers, this masterful treatment of decision processes merits the attention of modem scholars, and is one of the most important psychophysical publications in the 20th century. Decades of investigations into the underlying mechanisms of human perception and cognition followed this propitious beginning. The following jointly-authored articles provide an impression of the many different ideas and applications of Douglas’ contributions: “Effects of alternating set for speed or accuracy on response time, accuracy and confidence in a unidimensional discrimination task” in 1982, “The accumulator model of two-choice discrimination in 1988, “Interoperative patient controlled sedation” in 1991, “Intelligence and visual and auditory discrimination” (1995), “Towards a dynamic constructionist model of memory,” (1996) “Memory capacity and intelligence,” ( 1997), “Never cross the path of a traveling salesman,” (1998), “Human performance on visually presented traveling salesman problems,” (2001 ), “Towards a generative transformational approach to visual perception,” (2001), “Decision making and memory,” (2001), and “The perception of minimal structures,” in 2003 – just a sampling of his wide-ranging scientific interests. Douglas gave members of the International Society for Psychophysics (ISP) new ideas on a regular basis. His publications at the ISP meetings began in 1989 with “Stopping rules in discrimination models,” and continued with “Individual differences in the rate of accrual of information, the FAST (frequency accrual speed test) index,” (1990), “Confidence and memory in simple judgments,” (1999), “Decision making and memory: Predicting accuracy, response time and confidence on individual trials,” (2000), “Where does the balance of evidence lie with respect to confidence?” (2001), and “Confidence and time in three-category judgments” (2003). He was the organizer of many scientific sessions including “Human Decision and Choice” at the Twelfth Annual Conference of the Australian Psychological Society (1977), “Decision and Control Mechanisms in Perception and Memory” at the XXIV International Congress of Psychology (1988), “Theoretical Modeling in Psychophysics ” at the Sixteenth Annual Meeting of the International Society for Psychophysics (2000), and “Confidence and Psychophysical Judgments” at the Nineteenth Annual Meeting of the International Society for Psychophysics (2003). He was a member of the Organizing Committee of the 29th Experimental Psychology Conference in Adelaide, Australia, (2002) and Organizer for the Twenty-First Annual Meeting of the International Society for Psychophysics to be held in Adelaide, Australia in 2005. Beyond these major events Doug also provided the field with his capabilities as reviewer of journal submissions, grant” applications, manuscripts, conference submissions and professional appointments. He was a founding member of Non-linear dynamics, Psychology and Life Sciences and Editor, with P. L. Smith, of Proceedings of the XXIV International Congress of Psychology (Volume 2) entitled Human Information Processing: Measures, Mechanisms and Models. He reviewed articles for such major journals as Psychological Review, Journal of Mathematical Psychology, Acta Psychologica, Perception, Journal of Experimental Psychology: Human Perception and Performance, Psychonomic Bulletin & Review, Perception & Psychophysics, Memory & Cognition, Australian Journal of Psychology, Perceptual and Motor Skills, Personality and Individual Differences, and Nonlinear Dynamics, Psychology and Life Sciences. I believe that, in appreciation of this remarkable life, we should celebrate Doug’s career – a career peopled by famous teachers, outstanding contributions to our science, memorable lectures, insight, wit, intelligence, esteem, and international recognition. We can celebrate his many contributions through our fond memories of a charming colleague, an excellent scientist, and, to so many, a very good friend. Anna D. Eisler was born near Bratislava in former Czechoslovakia. In 1968 she came to Stockholm. Educated as an economist, she became employed as a bank clerk. After meeting her future husband, Hannes Eisler, she studied psychology at Stockholm University. The title of her doctoral dissertation (1993) – “Time perception: theoretical considerations and empirical studies of the influence of gender, age, and culture on subjective duration” – describes her earlier research, putting Hannes’ Parallel Clock Model to work as an analytical tool. Later Anna broadened her perspective to crosscultural psychology, spanning the perception of time as well as of risk and ecological conditions, and also highlighting gender differences. Anna and Hannes Eisler formed a strong research team. At Stockholm University Anna taught courses and supervised student papers. A long-standing active member of ISP, a frequent global traveller to conferences and engaged in international collaborations, Anna was a warm, social, generous, and committed person with contagious enthusiasm for research as well as for the wonders of nature and culture. I met Bob Bush at Dartmouth at the Social Science Research Council Mathematics meeting, in the summer of 1953. I also met Fred Mosteller, Leon Festinger, and Paul Lazarsfeld there; a mighty triumverate. Bush, soon a close friend, introduced me to Duncan at a meeting in New York in 1954. Later, Bob and I worked on some experimental problems when I was at the Psychoacoustics Laboratory at Harvard from 1956-58. I stayed there for the 1956-57 term, but by then Bob had moved to the New York School of Social Work at Columbia University. Duncan was already at Columbia, and this was when we all began meeting together routinely. The general topic was choice behavior—learning, psychophysics, and preference. During the middle of that year Duncan accepted a position at Harvard, which spread our trio out along the northeast coast. To continue our meetings as well as to run some experiments we were designing, we needed financial support. The three of us applied for and shortly received a grant in the sum of $10,000 from the American Philosophical Society. They sent a checkbook. When we had spent all the funds they simply asked us to return the check stubs. Hi-ho a simpler life. At least one of those meetings had interesting consequences. A train trip to Boston on Thanksgiving weekend gave Bob and me time to discuss the problem Penn’s Department of Psychology was having finding a new chairman. Penn was beginning to shift from its postwar concentration on training clinical psychologists towards a commitment to a strong experimental program in several fields of psychology. By the time Bob and I arrived at Duncan’s Cambridge apartment, we had hatched the idea of proposing Bob’s name as chairman. Among its advantages would be the establishment of an Eastern haven where mathematical psychology could be fostered. The idea appealed to us, but the political realities were formidable. Just how realistic was it for an assistant professor (me) to propose as chairman of one of the oldest departments of psychology in the United States, a recently converted physicist who was then an applied mathematician in a School of Social Work, especially when one of his first proposed appointments would be Duncan, an MIT graduate with a degree in aeronautical engineering. During the first two years of Bob’s chairmanship at Penn, the academic year ended with two months of close collaboration when Duncan, Bob, and I rented a house in Pigeon Cove, near Rockport, MA. We were joined there for part of the time by Fred Mosteller. While there work was completed on four papers—one by Bush and Estes’ (1959); one by Bush, Galanter, & Luce (1959); one by Bush & Mosteller (1959); and Galanter & Bush (1959), That fall Duncan joined the Penn faculty and further travel became unnecessary. The three of us became so close that we were like family in our thinking and planning. Ultimately when all three of us settled in Philadelphia, we bought houses near each other. We socialized together, made decisions about the development of the department, and even though Bob was the Chairman, decisions were made by the three of us. At Penn, we began working on the Handbook of Mathematical Psychology and the Readings in Mathematical Psychology. During a year at the Stanford Center, I took flying lessons, and became so centered on flying that I bought my first airplane. Duncan often went flying with me. We traveled together to various meetings in America (by plane) and Europe, but always returned to Penn, until I received an invitation from the University of Washington. I was asked to come there to be Chairman and hopefully to perform the same transformation there, that we had put together at Penn. I visited Seattle in the spring of 1962, and arrived for the fall term. That Christmas Patricia and I were married. We bought a 55 foot yacht, the Gloria, and after unhappy residential efforts, decided to put our furniture in storage and live aboard. On Duncan’s frequent visits, he used his U.S. Navy seamanship handling the lines, steering the Gloria, etc. On one of our cruises on Lake Washington, he took the dinghy for a bit of rowing taking other guests including Richard Rose and Don Norman. We always had a good crowd on those cruises. We would often go through the locks to Puget Sound and then up to Victoria, Canada, docking at the Empress Hotel. Bob and Duncan took that Canadian trip several times. At that time I was called to various NSF site visit committees, so Patricia and I would often be on the east coast. We always took time to visit Philadelphia, and would stay in Duncan’s house, which was much like the house that I had owned when I was in Philadelphia. Duncan was always a gracious host—always concerned that we were comfortable. On a later visit, Duncan had moved to a larger house. It was quite elaborate with a bathtub that was almost as large as a swimming pool. Here I saw how community-minded Duncan was, for he always had a basket of oranges outside the gate for neighborhood children. Around this time Duncan decided to take flying lessons, and ultimately bought a Cessna 172. In December 1965 on a visit all over the east coast, Duncan told us about what had happened on November 9,1965. He had taken off from LaGuardia at 5:20 p.m. and looking back only saw black. Not a single light anywhere. It was the night the whole New York area had a massive “black out.” Fortunately Philadelphia had not lost power, so he landed safely. I don’t think he continued flying much after that, as I don’t recall him discussing planes anymore. In 1966 Patricia and I decided to leave Seattle. We arrived in New York on Labor Day weekend and spent the year at Columbia. We decided to stay at Columbia. Duncan decided to go to the Princeton Institute, and continued to visit often in New York. However, one fateful day, he visited and told us he was accepting a position at Harvard. He seldom traveled down to New York anymore, and we were spending more time in Europe by then. But, we did get together at a meeting in Syracuse in 1989 to discuss Stevens’s impact on psychology. Duncan told us that he had met someone very special, and that they were planning to be married. 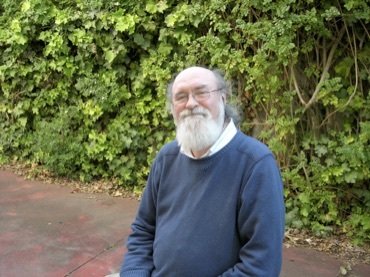 He and Carolyn Scheer were married, and subsequently moved to UC Irvine where Duncan spent the rest of his academic life. I have been visiting with him at Irvine for the past few years. We had planned to do some experiments together this spring. He was one of my oldest and dearest friends, and I miss him. John C. (“Jack”) Baird received his bachelor’s degree from Dartmouth in 1960 and his Ph.D. from Princeton in 1964. He served as a Professor of Psychological and Brain Sciences at Dartmouth College from 1967 until he retired in 2000, and from 2000 until his death served as an Adjunct Professor of Medicine at Dartmouth Hitchcock Medical Center. 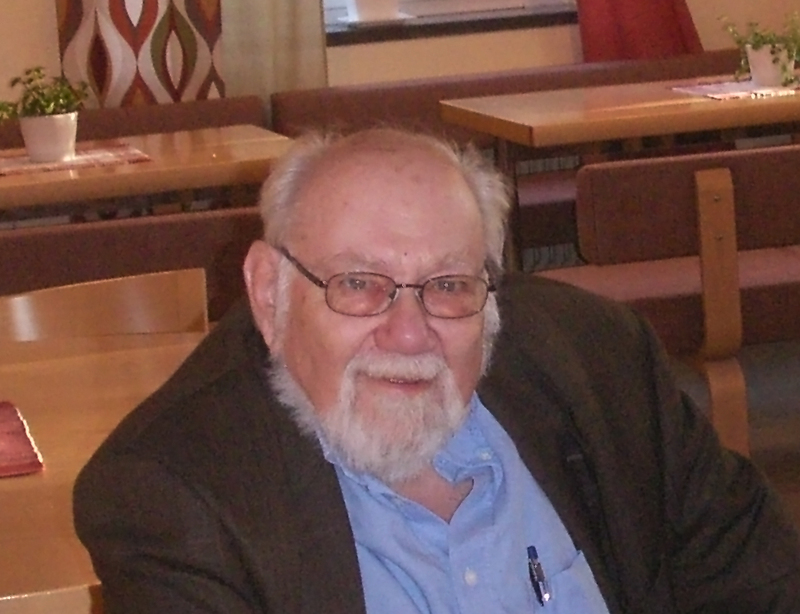 Jack was one of the founding members of the International Society for Psychophysics in 1985, and he participated in and contributed to the success of the society during the early years. In his long career, he had a significant impact through his own research and through his influences on colleagues and students. Jack viewed the world with a psychophysical eye, and his curiosity was wide-ranging. For Jack, psychophysics was not something apart from the world of everyday life; rather, psychophysics reflected and informed the world of everyday life. A short list of his interests and the areas in which he made significant empirical and theoretical contributions includes geometries of visual space, sequence effects, properties of magnitude estimation, the moon illusion, environmental memory, pattern recognition, imagery, memory psychophysics, and medical psychophysics. Early in his career he focused more on basic issues (e.g., the use of numbers in scaling, cognitive effects on spatial representation). Later in his career he focused more on applied issues (and founded Psychological Applications, LLC), often using psychophysics to assess and improve the quality of life (developing more accurate assessments for pain, breathlessness, and the effectiveness of hearing aids; assessment of environmental quality [e.g., “sick buildings”]). Jack combined the empirical and the theoretical in his scientific work. He was not afraid to “think big”, and he was equally highly adept in dealing with the smallest methodological details, the largest theoretical implications, and in developing simulations and models of potential mechanisms. He embraced new technologies whenever they could aid his scientific curiosity, but his scholarly activity was always driven by the asking of fundamental questions rather than by fads or gadgetry. He published over 150 empirical and theoretical articles in peer-reviewed journals, and he published five books including Psychophysical Analysis of Visual Space (1970), Fundamentals of Scaling and Psychophysics (1978, with Eliot Noma), Mind, Child, Architecture (1982, with Anthony D. Lutkus), The Inner Limits of Outer Space (1987), and Sensation and Judgment: Complementarity Theory of Psychophysics (1997). Jack was more than a brilliant scientist; he was also a generous and giving teacher. He mentored many undergraduates, graduates, and postdocs, and I feel fortunate to have had Jack as my graduate advisor. His mentoring style was Socratic and idiosyncratic, but also very effective. For example, Jack would often take an afternoon break in which he would walk across campus for coffee, and he often asked me to accompany him on those “spontaneous” breaks. It was during such breaks that much of our research was designed. Indeed, the broad outlines of my dissertation research were designed while we skipped stones off Occam pond on the Dartmouth campus during such a break. Jack lived the idea of “pay it forward” before that idea became a cliché, and after an act of kindness, he would just say “do the same thing for your students someday…”. I’ve tried to take his example to heart and to be the type of scientist, mentor, and teacher he best exemplified. A leader in sensory psychophysics during the second half of the 20th century, Joe Stevens died unexpectedly but peacefully at his home on February 7, 2014, three weeks shy of his 85th birthday. Born and raised in Grand Rapids, Michigan, Joe attended Calvin College, where courses in psychology and philosophy, as well as in his major subject, biology, sparked an indelible interest in human sensation and perception. 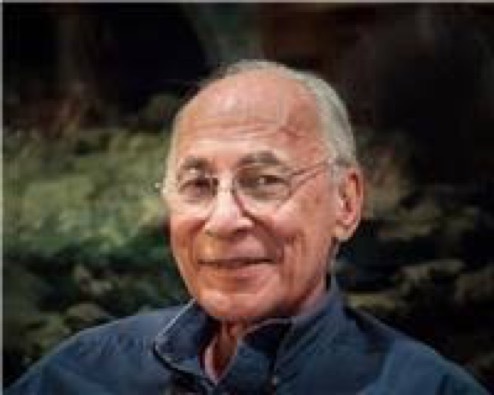 After receiving his undergraduate degree in 1951, Joe studied vision with S. Howard Bartley, taking a masters degree in psychology at Michigan State University in 1953 before moving on to doctoral studies at Harvard. This move marked the start of a thirteen-year collaboration with S. S. (Smitty) Stevens, first as a student and later as a faculty colleague in Harvard’s psychology department. Arriving in 1953, Joe was present at the creation, so to speak, for it was in that year that Smitty first proposed a power function to describe how the magnitudes of sensory experiences in both hearing (loudness) and vision (brightness) relate quantitatively to the physical energy level of the external stimulus. Working in Smitty’s lab, Joe assiduously expanded on these early results, reporting his own findings on brightness and loudness in his doctoral dissertation of 1957 and in a series of major articles published between 1958 and 1966. During this period, Smitty and Joe also worked on a monograph, The Dynamics of Visual Brightness, which focused the lens of the new psychophysics on visual perceived intensity. They completed a draft of the manuscript in 1960 but – alas! – never published it, although they distributed it to researchers in vision and in psychophysics. According to a Google search (December 2014), the unpublished manuscript was cited more than 30 times, most recently in 2004. Joe’s research during this early stage of his career took two main directions: One was to apply the methods of psychophysical scaling to a variety of sensory systems: not only vision and hearing (the subjects of his doctoral dissertation), but other modalities as well, including warmth and cold. Importantly, Joe created a method of cross-modality ratio-matching, reported in his dissertation and cited by Smitty in the same year, 1957, one year before Smitty began his own initial efforts at (conventional) cross-modality matching. The second direction, and arguably one of his most important contributions, was to use methods of psychophysical scaling to illuminate fundamental sensory processes. This is evident in early findings first reported in his doctoral dissertation and then expanded in a seminal article (J.C. Stevens and S.S. Stevens, 1963) showing how light adaptation affects the perception of brightness. Joe and Smitty quantified the effects of adaptation in terms of changes in the three parameters (exponent, multiplicative constant, and threshold) of a generalized power equation. Demonstrating the utility of psychophysical scaling methods as tools for understanding sensory processes would leave an indelible mark on many subsequent researchers, including this biographer. In the fall of 1966, Joe left Harvard to establish and lead the psychology-psychophysics division at the John B. Pierce Laboratory, an independent, non-profit institution affiliated with Yale University. Joe held the title of Fellow at the Pierce Laboratory and, at the time of his death, Senior Research Scientist in psychology at Yale. Under Joe’s leadership, the division quickly grew, as Larry Marks and then Ellie Adair, Bill Cain, Linda Bartoshuk and others joined the research group. Over the years, some stayed, some left, but by 1999, when Joe published the last article bearing his name, the number of publications from the division that he had created surpassed 500. In 1966, when Joe arrived at the Pierce Laboratory, much of its multidisciplinary research focused on body temperature regulation, and Joe quickly began to expand his early work on warmth and cold by studying thermal perception, especially the roles of spatial summation, temporal summation, and adaptation. But, taking another lesson from Smitty, Joe continued to think of himself as a ‘sensory generalist,’ working from time to time on issues in vision and hearing, and expanding his main research endeavors to include taste and smell as well as warmth and cold. Over the last two decades of his career, Joe’s research increasingly emphasized changes in sensory systems as people age, much of it conducted under a 10-year Merit award from the National Institutes on Aging of the NIH. Hearing tends to worsen with age. So too can vision. But aging takes a toll on other senses too: on touch, taste, and, especially, olfaction – the sense of smell – this being evident both in the great decline in sensitivity to odorants that are sniffed (orthonasal olfaction) and to volatile chemical components perceived as flavors when foods and beverages are taken into the mouth (retronasal olfaction). The consequences of olfactory decline can be serious. Joe showed, for instance, that older individuals, and older men especially, often cannot detect the malodorous agent that is added to natural gas to serve as a warning in gas leaks. A leading figure in modern psychophysics, Joe was teacher and colleague to many. Those fortunate enough to study with him or work with him benefited not only from his intellectual acuity and creativity, but at least as much from his mentorship, his friendship, and his generosity of spirit.